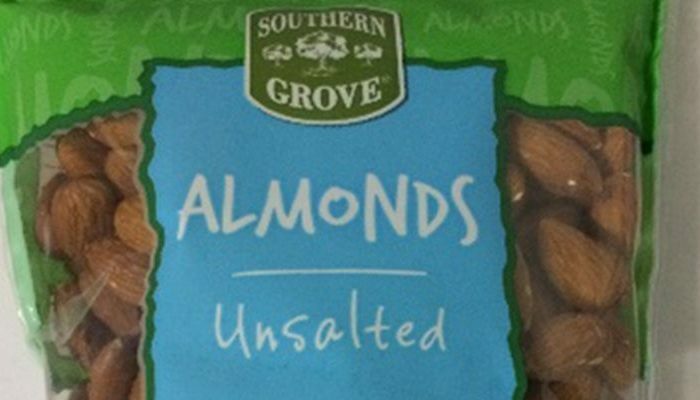 A company announced the recall of Southern Grove Unsalted Almonds due to a batch of the product containing wheat and soy, which aren’t listed in the ingredients, the U.S. Food and Drug Administration said in an alert this week. 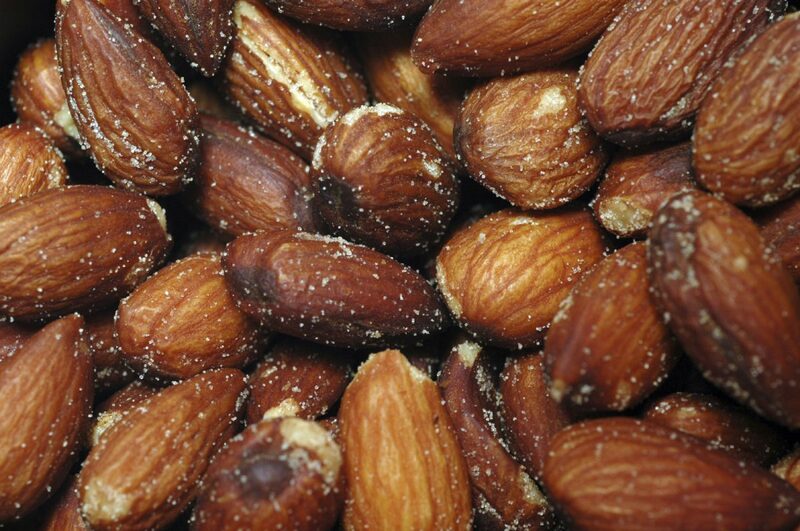 The almonds, packaged by Kanan Enterprises, are sold at Aldi supermarkets in a number of states. The Almonds were sent to Florida, New York, Indiana, Illinois, Kentucky, Maryland, North Carolina, Ohio, Pennsylvania, South Carolina, Virginia, and West Virginia. The contaminated batch has a best-by date of Sept. 25, 2018. The company was notified by a customer that the batch contained wheat and soy-coated wasabi almonds mixed in – a big problem for consumers with wheat and soy allergies. “People who have an allergy to wheat or soy run the risk of a serious or life-threatening allergic reaction if they consume these products,” the FDA’s recall notice says. 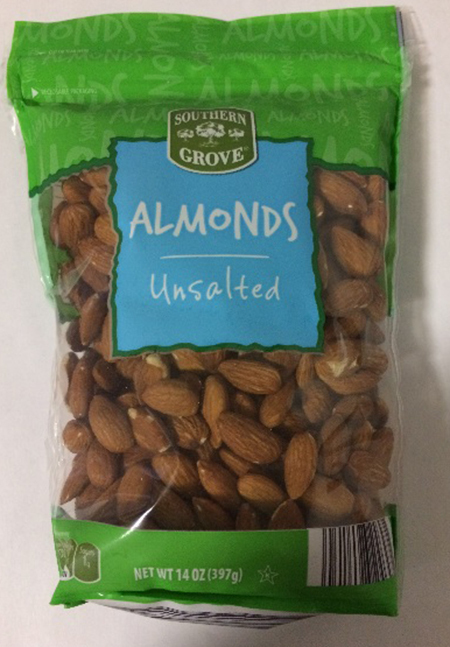 “The only item that is affected by this recall is Southern Grove Almond Unsalted, a 14 ounce stand up pouch bag with a UPC 0 41498 24647 1 and a date code of Best By SEP 25 2018 KN. No other products or date codes are affected,” the alert says. Consumers with questions should call 1-800-860-5464 or return the product to Aldi. Between 1997 to 2007, the prevalence of reported food allergies increased 18 percent among children aged under 18, the CDC said in another update. The most common food allergies are milk, peanuts, eggs, tree nuts, shellfish, fish, soy, and wheat.